This is Federal Lake City 5.56 XM193 55gr. Full Metal Jacket Ammo. 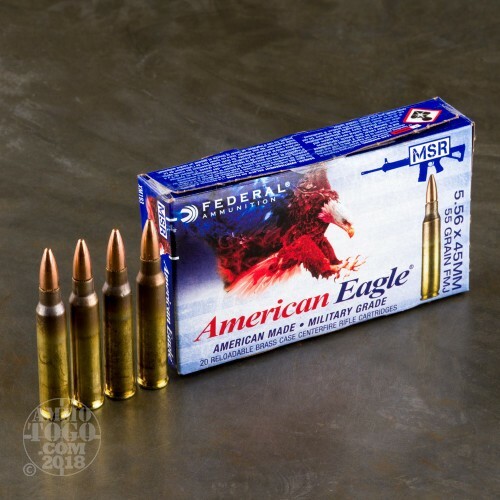 This ammo was manufactured by Lake City and is manufactured to U.S. Military M-193 specs. This is considered to be the best 5.56 55gr. ammo money can buy. It is brass cased, boxer primed, and 100% non-corrosive. Muzzle velocity of 3165fps. 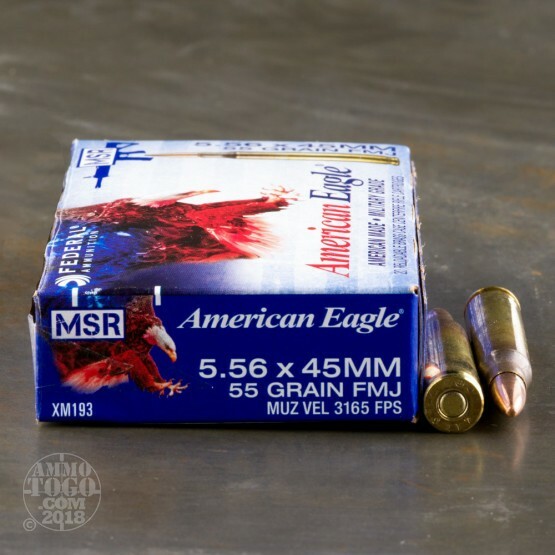 It is packed in the black and white American Eagle 20rd boxes, 500rds per case. 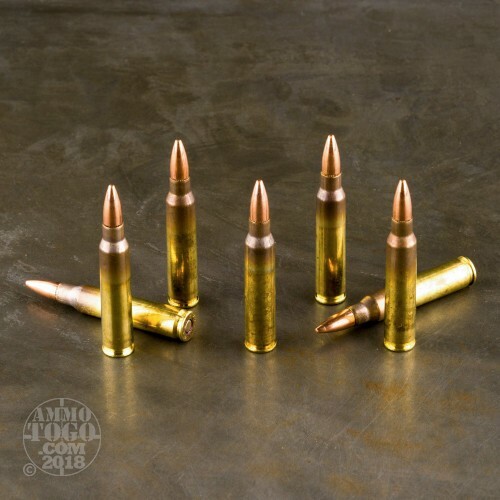 This is great shooting ammo. Clean, consistent, and accurate enough. it's probably more accurate than I can shoot, but I've not taken the time to really give it a go. It works in all my ARs and that's what counts. 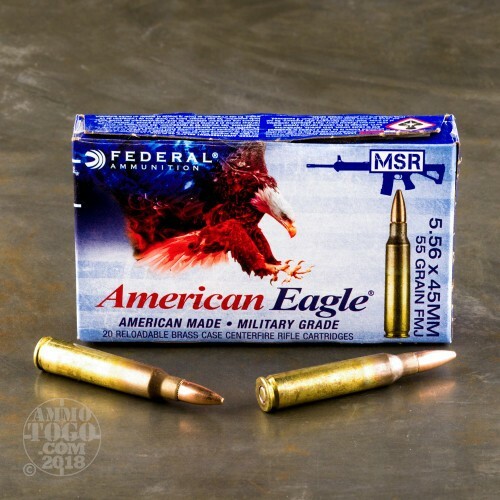 Great price on great ammo.